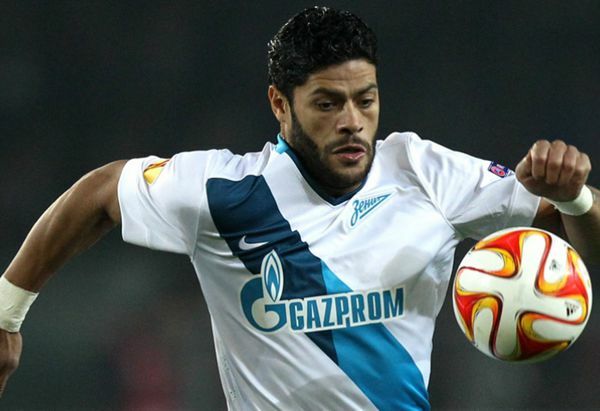 Brazil international Hulk has joined Chinese Super League club Shanghai SIPG from Zenit St Petersburg, the AFC Champions League quarter-finalists have confirmed. Hulk, 29, joins the ambitious SIPG after a glittering European career, which has yielded 164 goals in eight seasons for FC Porto and Zenit. The 46-cap Brazilian international joins Sven-Goran Eriksson's SIPG as the club chases a maiden AFC Champions League title, having reached the tournament's quarter-final stage in their first appearance in Asia's premier competition. Hulk's extensive list of honours includes a UEFA Europa League winner's medal with Porto in 2011, as well as three Portuguese Primeira Liga titles, a Russian league title and a FIFA Confederations Cup won in 2013 with Brazil. Hulk is no stranger to Asian football, having spent three years early in his career playing in Japan for Kawasaki Frontale, Consadole Sapporo and Tokyo Verdy, scoring over 70 goals. Shanghai SIPG currently sit fourth on the Chinese Super League table, 12 points adrift of leaders Guangzhou Evergrande and five points behind Jiangsu in third place. They will face Korea Republic's Jeonbuk Hyundai Motors at home in the first leg of their AFC Champions League last eight tie on August 23, before the return fixture on September 13. Shanghai SIPG have completed the $62 million capture of striker Hulk from Zenit St Petersburg to make him the most expensive signing in Asian football.